will be able to view key information about parking garages and lots around the world. 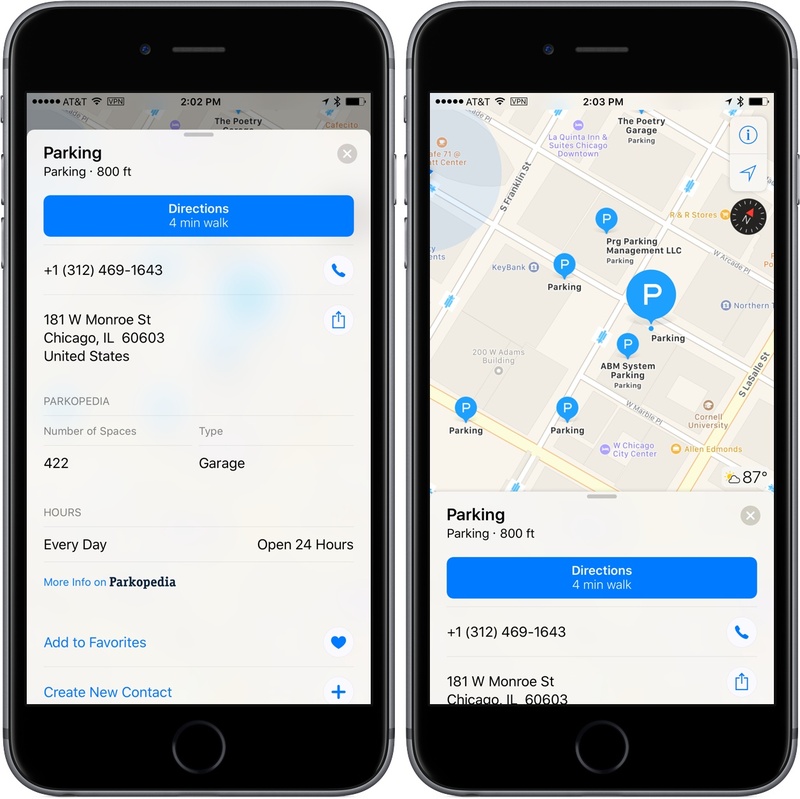 In addition, users will have the option to click through to Parkopedia's website and iOS app to view more detailed information including pricing, user reviews, special offers and real-time space availability. They will also be able to make reservations. I ran a parking search for downtown Chicago, and many of the parking lots are still listing Yelp ratings and information, but I did find one nearby with Parkopedia information that included the number of spaces, the type of parking lot, payment methods accepted, height limits, hours, and a link to Parkopedia for more information. It’s good to see Apple continuing to work with other companies to provide additional information for Apple Maps. The last week has seen a couple Google Maps announcements and with today’s news, it seems as though the competition to provide rich map data will only heat up from here.